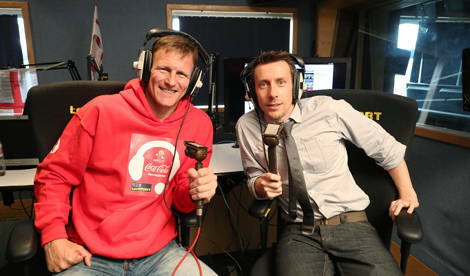 TEDDY SHERINGHAM TALKS ENGLAND, EURO 2012 & BOOTS! Veteran of three big international tournaments, the Premier League’s inaugural Golden Boot winner and winner of more honours than you can shake a stick at, Teddy Sheringham knows more than just a thing or two about big summer events. And at an event held by Coca-Cola and Talksport, we were lucky enough to grab a few minutes with the bona fide England, Tottenham Hotspur and Manchester United legend to talk about Poland & Ukarine this summer. FB: How do you rate England’s chances this summer? TS: It all comes down to the manager now, how quickly Roy Hodgeson can rally the players to his cause now that Capello’s gone. It’s not going to be easy, but I do think that the players we’ve got are outstanding. Were the FA right to wait so long between letting Capello go and bringing a new man in? Well, whether I do or don’t, it doesn’t matter now. It doesn’t give Hodgeson a lot of time to look at and select the players he wants to bring in, but he’s been in the dugout at West Brom all this season – he’s been watching the players in the Premier League, so that gives him a good idea of who’s been in form. Who do you think are this Summer’s clear favourites and dark horses? For favourites, you’ve got to look at Germany and Spain; both have been great over the past two years and can beat just about anyone on their day. As for a dark horse; Ukraine. Very experienced, good, solid team who are also playing on home soil. Are there any individual players that you’re looking forward to seeing on the big stage? Spain are always brilliant to watch, and full of great individuals. But England are truly World class, too – Ashley Cole, Steven Gerrard and Wayne Rooney are all players I really like to watch. Out of the current squad of England players, who would you like to have partnered up front? Steven Gerrard was just coming into the England set-up as I was on my way out, so I only got to play a little with him, but you could already see he’d be special. If I could, I’d have liked to have at least a couple of games with him in the midfield, and Rooney up top with me. You wore lots of football boots in your career – which were your favourites? A nice, white pair of Nike Tiempos – they were the last pair I wore and a definite favourite! You played in a lot of big games, have you kept any boots from as momentos from any? Not many! It’s been four years since I retired, in that time people ask for just about everything; shorts, socks, shirts and boots! Most of it’s gone away to worthwhile causes. 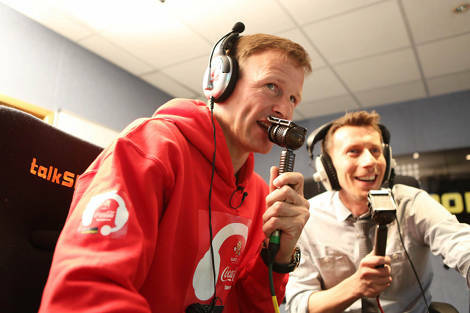 Coca-Cola is an official sponsor of the UEFA European Championships and is offering a lucky fan the chance to become a Fan Reporter at UEFA EURO 2012™ as well as a six-month paid internship at talkSPORT learning how to become a top sports reporter.